In collaboration with The California State University Los Angeles Television, Film, and Media Department, join us for a screening of three student-directed short films featuring nonprofit organizations in California dedicated to environmental justice. The screening is the culmination of the semester-long Cal State LA course, Community Impact Media. This semester, students focused on sustainability and conservation through documenting the work of organizations: Green Technology, Grades of Green, and Communities for a Better Environment. The student-directed documentaries draw attention to the ways in which the regional nonprofits are developing solutions that address environmental challenges in California and beyond. 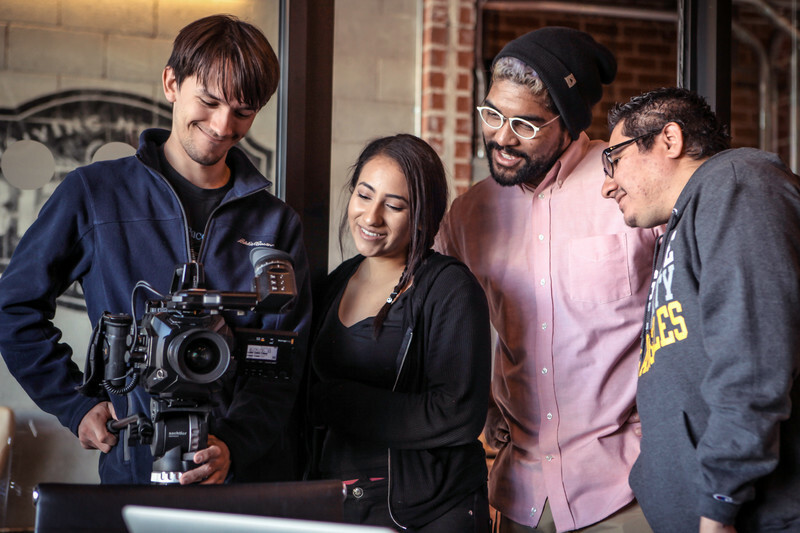 Community Impact Media, a shared project between the university and the gallery, provides neighboring youth with hands-on media making and storytelling mentorship toward the production of video projects written and directed by the student filmmakers. It not only encourages students to reimagine the role of filmmakers as neighbors and citizens committed to meaningful social change, but also illustrates each organization’s commitment to engage and develop a positive, lasting relationship with their shared LA community. This event is free to attend and open to the public, however, due to limited seating, reservations are recommended. Click here to register.